If you’re into cars at all you’ve probably seen at least one article recently about China and their dislike of the “new-car smell.” How Ford has a team of “golden noses” doing a smell test on all the various parts and materials that make up one of their vehicles. It’s surprising to us that something so prized in America is nearly reviled in China. What I find most interesting is no one seems to be talking about WHY the Chinese don’t like it. It’s not like this is new information to Ford, they knew in 2014 when they started exporting Lincolns to China. Back then they covered the smell with fragrances. By 2015 they were including a canister filled with odor absorbing carbon sheets in the cabin of the car during shipping. The end result is an odorless car when it arrives in China. Now, why don’t the Chinese want their cars to have a new-car smell? It goes back to the fact that they think that chemical smells (technically called off-gassing in this case) aren’t healthy for you to breathe. And they would be right. 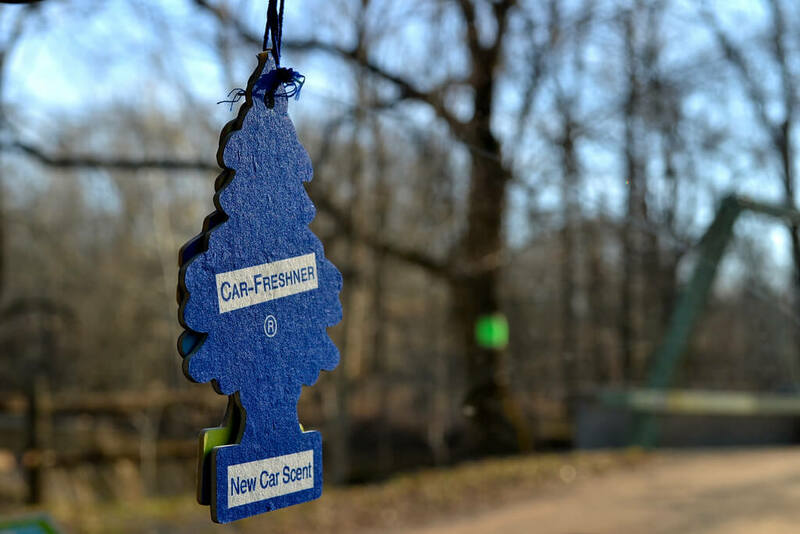 Yep, the smell that your new car gives off is a mixture of many different chemicals and scents from glues, plastics, fabrics, leather, and wood. There have been studies showing this chemical cocktail is actually a health hazard. The first was a 2001 study from the Australian Commonwealth Scientific and Industrial Research Organisation (CSIRO) that exposed the new-car smell as toxic due to volatile organic compounds (VOCs). Now, we aren’t trying to put you off that new car purchase. Automakers have made improvements to their interiors including using materials and adhesives with fewer VOCs. Their aim is to make them healthier for their customers while still giving them that new-car smell that they crave. It’s just not the same new-car smell that we may have been used to. It just goes to show that sometimes, what we want isn’t actually good for us.